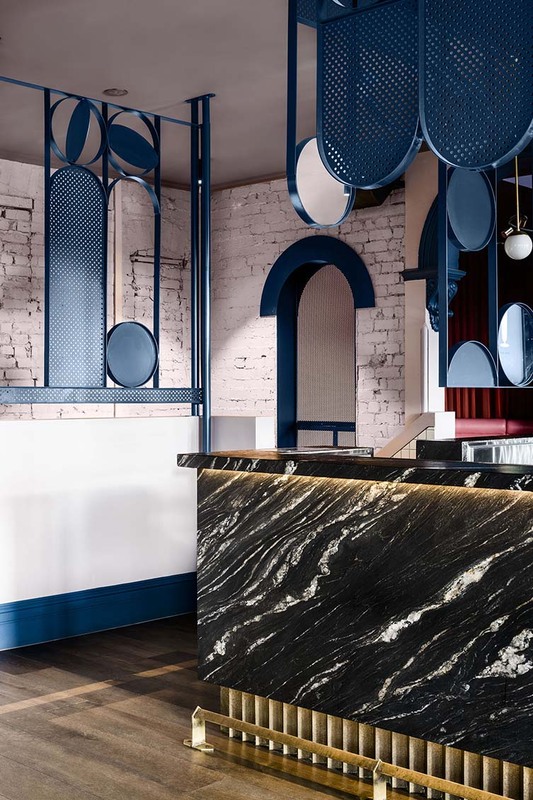 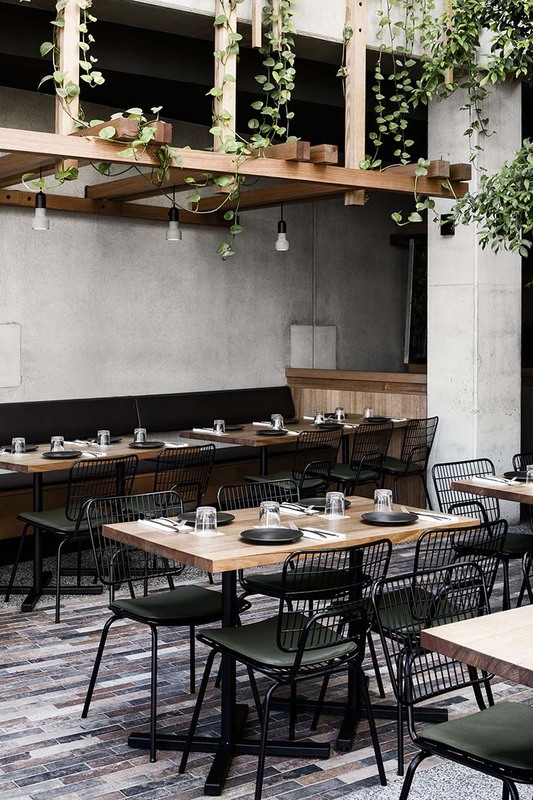 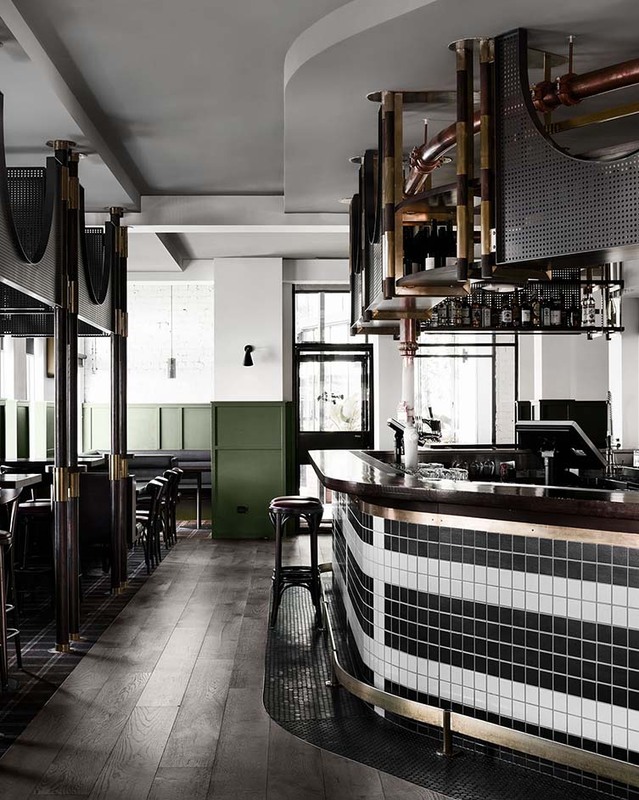 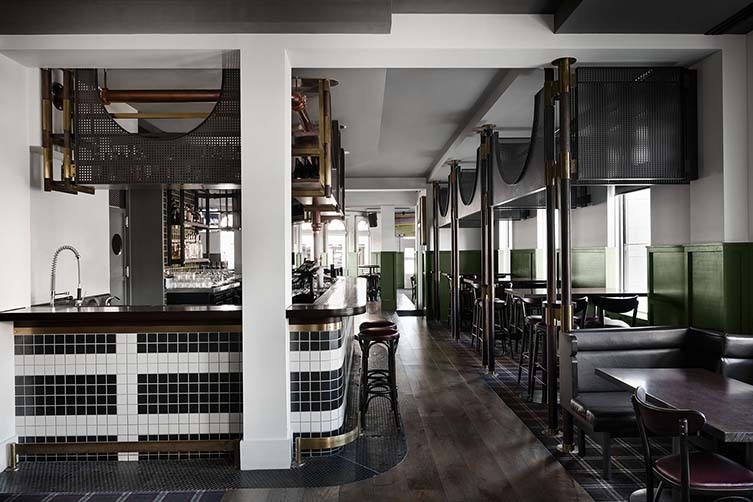 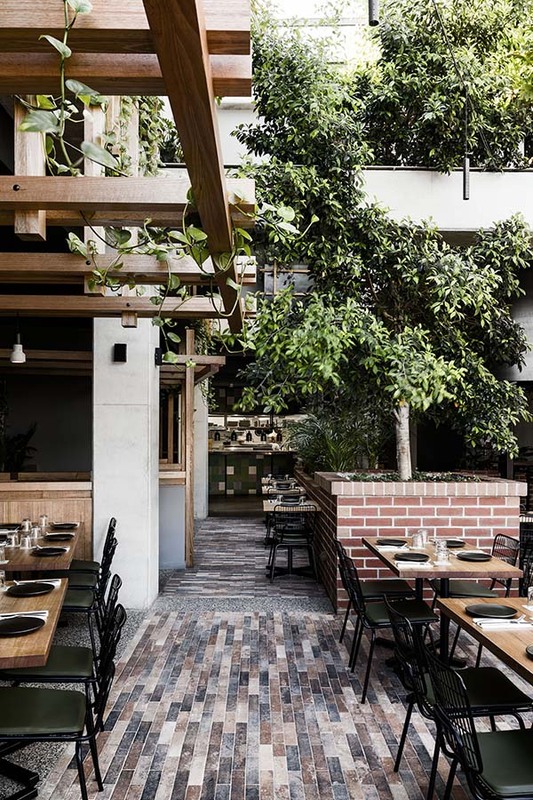 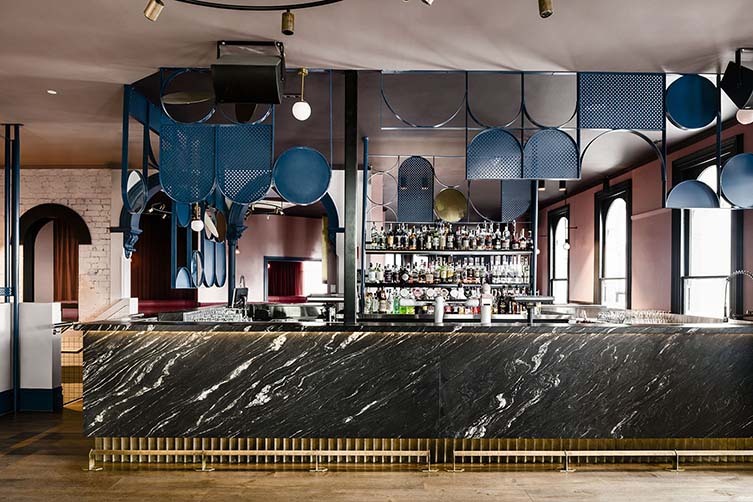 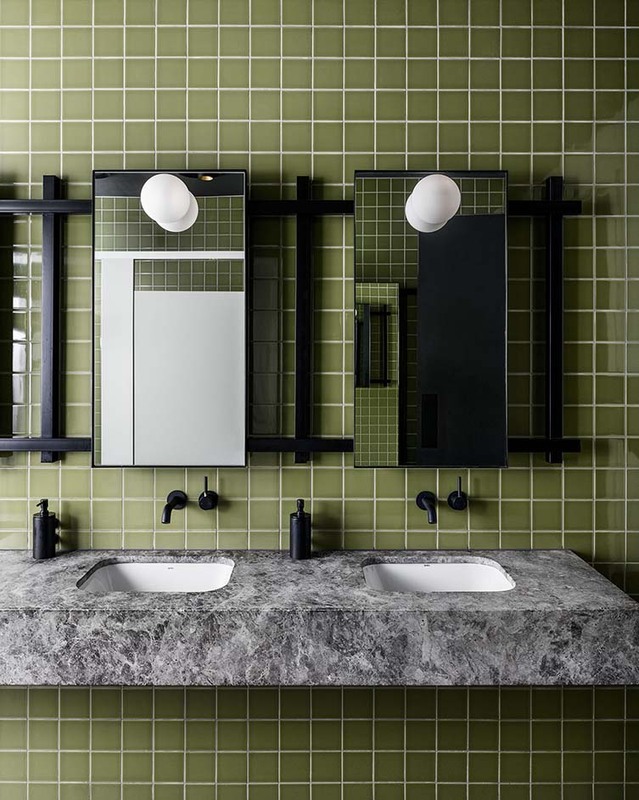 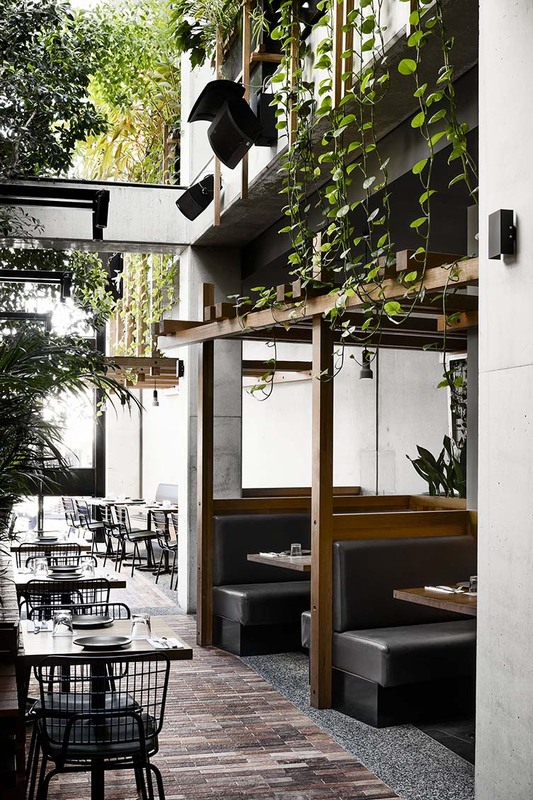 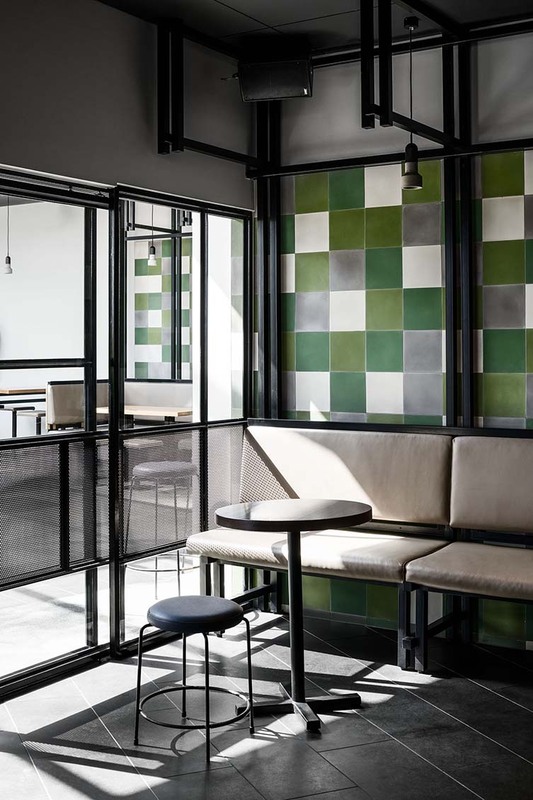 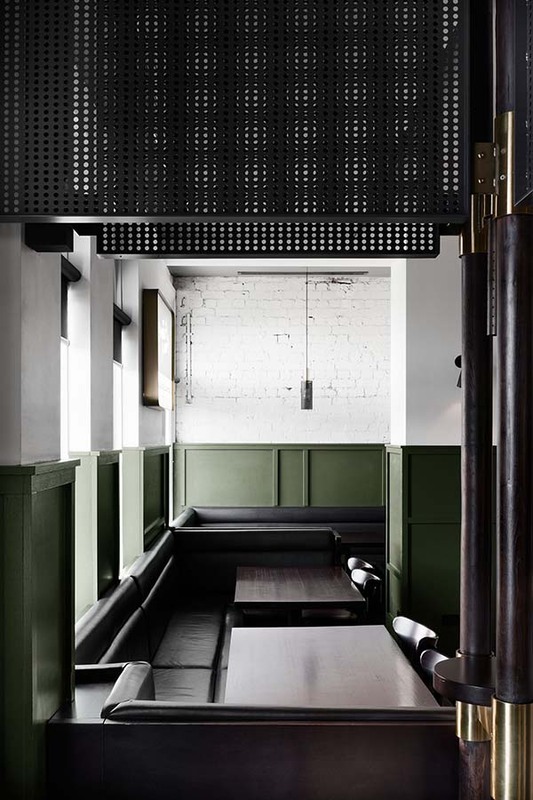 Somewhat of an icon for the bayside Melbourne neighbourhood of St Kilda, the Village Belle Hotel reopened its doors recently unveiling a look that nods to the heritage of the 1891-erected building; whilst aesthetically taking a pronounced turn to the contemporary. 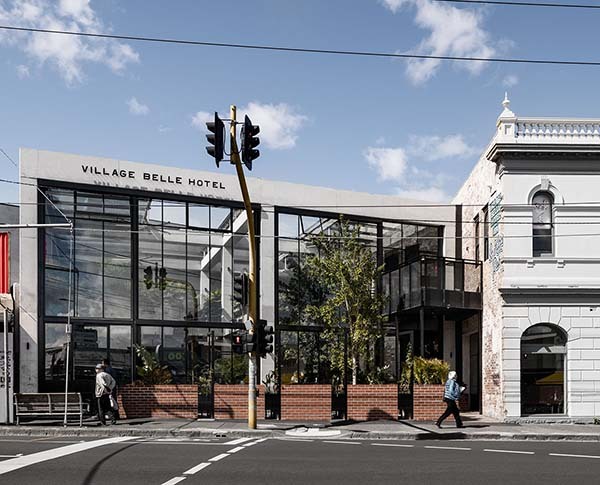 Opening the historic hotel up to Barkly Street and the new pedestrian zone on Acland Street via a glass and steel addition that opens up onto the street, the design team have fused old and new whilst creating an alluring window into the Village Belle world which will entice passers-by inside. 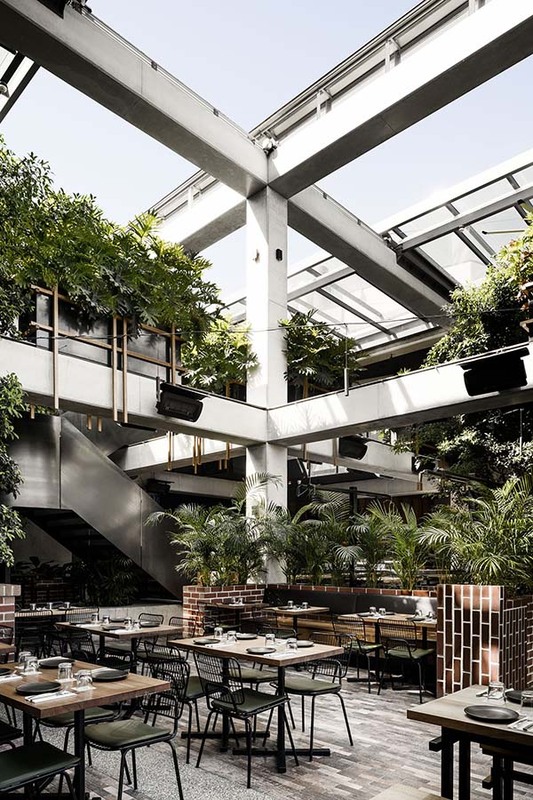 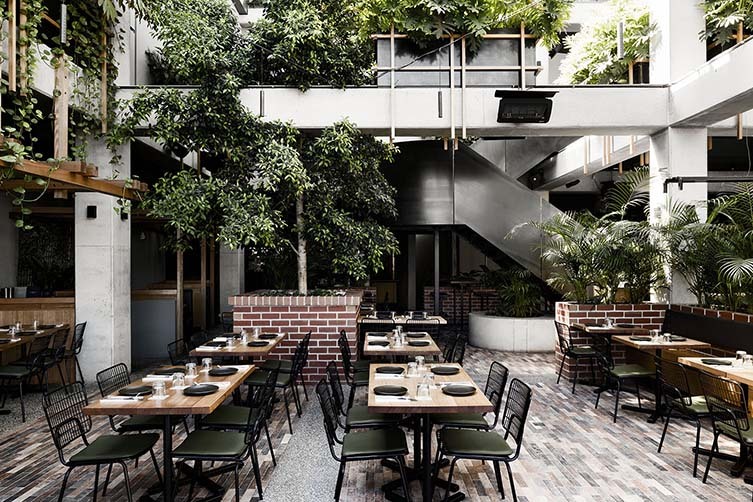 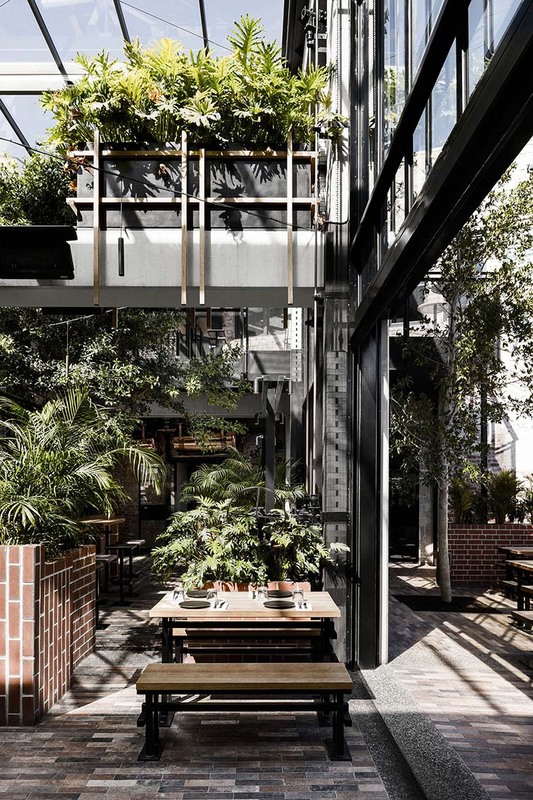 The vast and green double-height beer garden has been installed with a custom-designed roof and vertical sliding doors in collaboration with industrial design firm TILT, ensuring natural light can fill the space and enable climate control no matter the weather. 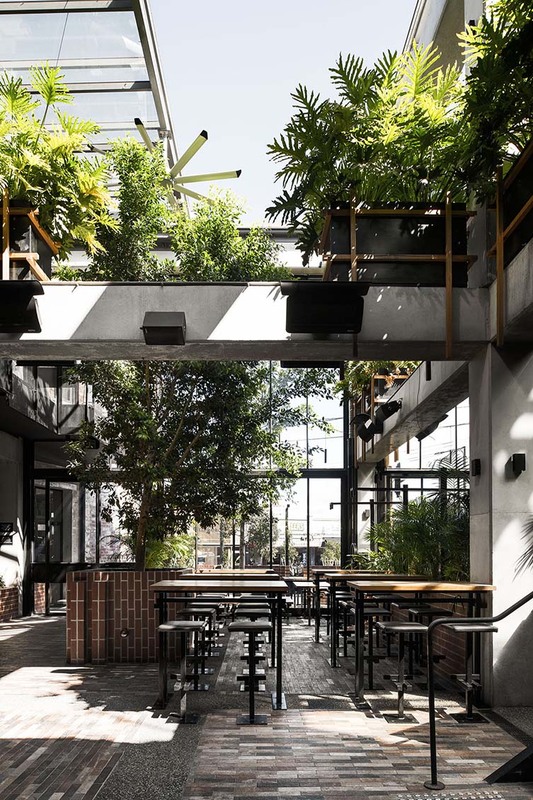 Whether the Melbourne sunshine is out, or it’s having one of those days where it throws the whole gamut of weather conditions your way, in this beer garden, every day can be a summer’s day. 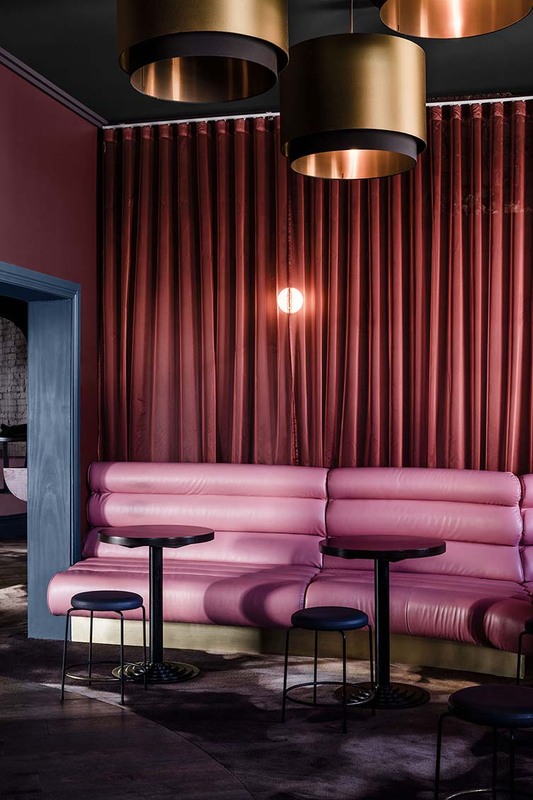 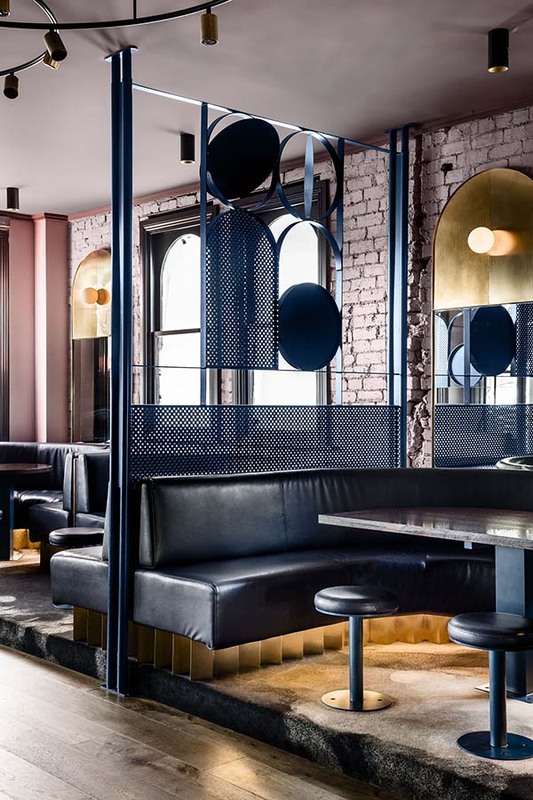 Harnessing the feel of a good ol’fashioned boozer, the public bar blends the traditional aspects of a typical front bar with the demands of the contemporary hospitality industry, booth seating allowing for a social atmosphere and proper knees up. 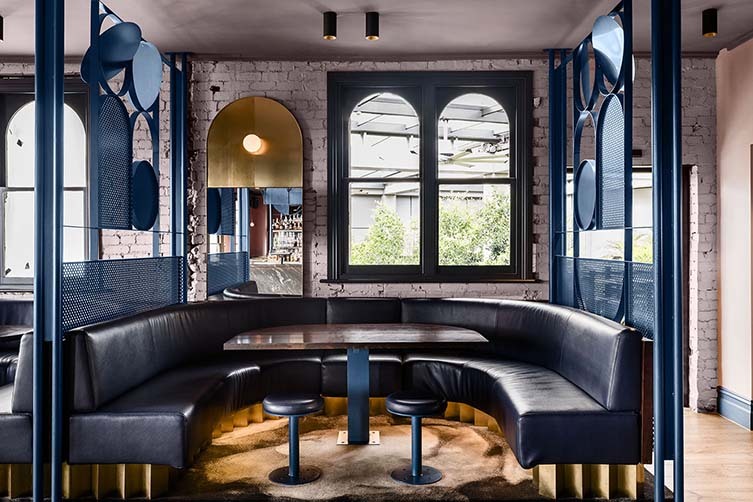 Over at the Doulton Lounge—the Village Belle’s cocktail bar—lighting, colour, and intimacy make for quite the place to enjoy a well-crafted tipple or two. 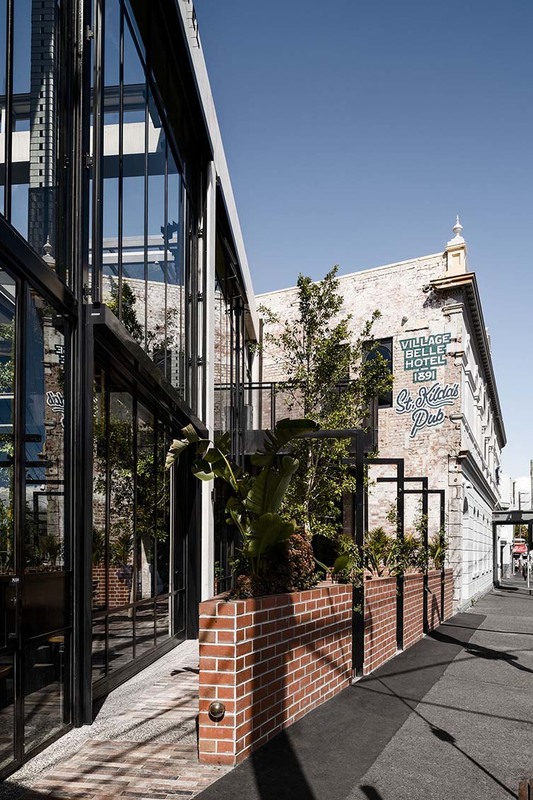 Once home to a drive-in bottle shop to the rear, Technē removed it to make space for 12 boutique one- and two-bedroom apartments that—along with their own Smith Street entrance, and a whole load of acoustic isolation—allow revellers and dwellers at Village Belle to come together in harmony.